The D cup quilt top is finally finished. 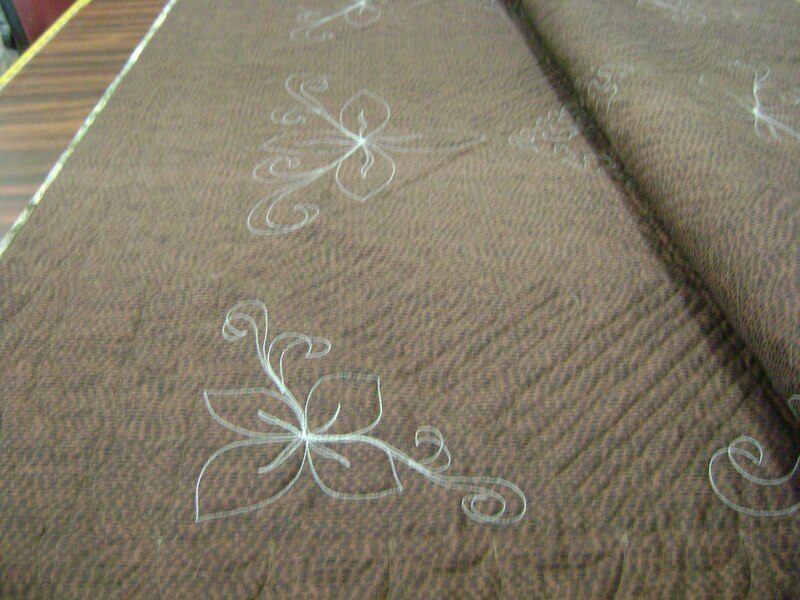 Even the binding is done. It came out square even though it’s not a square quilt, its a rectangle. Square simply means the sides are even and not one longer than the other. Personally, I think it came out good enough to enter into the fair. 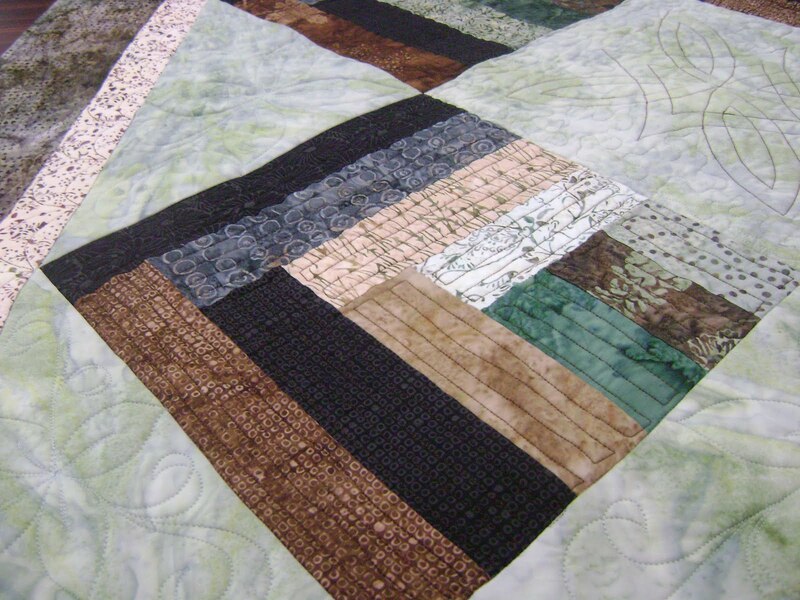 It’s too bad none of the big quilt shows have a category for “issue” quilts. I might have a chance at winning in that category. Here’s another picture of it finished. Look how straight the seam lines are. The setting triangles and the inside border. The outside border, and again, the inside border. 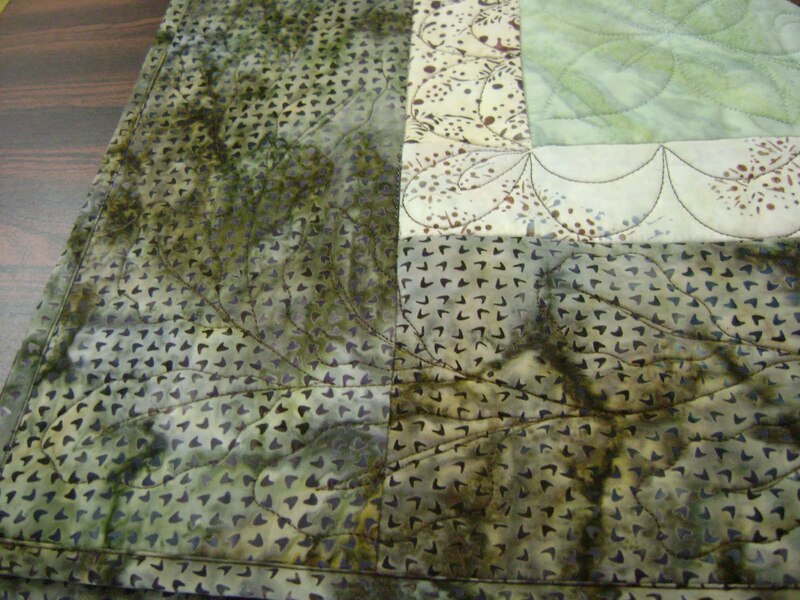 A blurry look at the back of the quilt. Next time someone asks you…. “You can quilt that out for me can’t you?” Just say…. “Yes, I can quilt that out” because Anita, the Fairy Quilt Mother, taught me how. I had saved these earlier posts to read, and have now gotten through them. 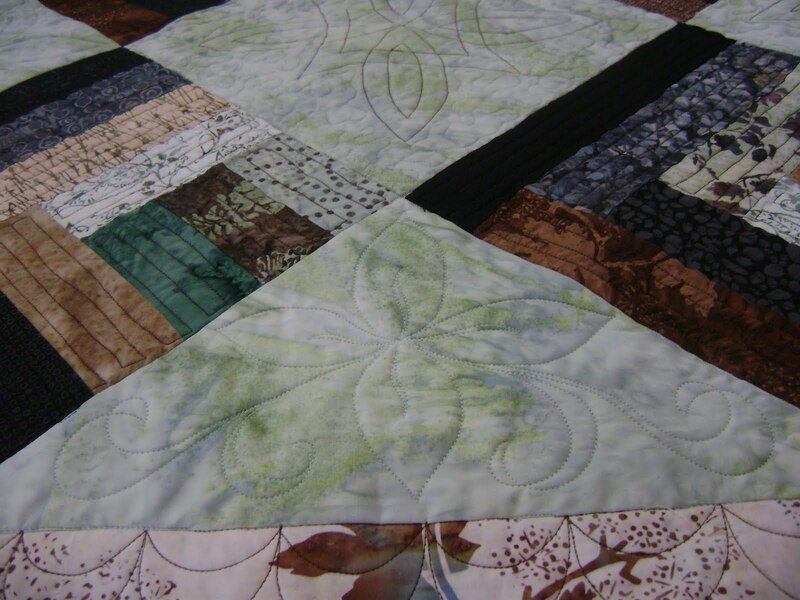 Your quilting is incredible, and quilts like this one are what keeps me from getting a long arm machine, since my dh says I have to turn it into a business…I've never been a doodler and feel that limits my capabilities as a quilter for others…thank you for sharing this project…it turned out beautiful! Honestly, Anita, You are a miracle worker!! You did a wonderful job (again)! Beautiful job, Anita! You have the amazing ability to solve all sorts of problems. Thanks for sharing. Oh Anita, my fairy quilt mother, can you help me with BOYS?? I'm telling them that TODAY, I'm busy and they need to feed ME and do all the dishes. Wonder how this will work??!! I bet I'm hungry all day long.. lolol but I AM busy! I got a new customer at the baseball game last night ( I need to order business cards!) 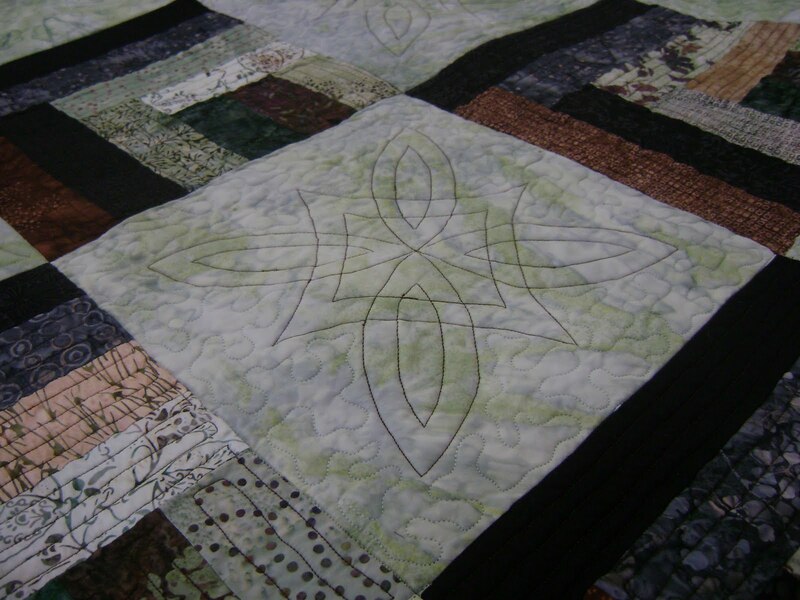 and another one from the Quiltingboard/ my blog coming in today. I better get GOING! I hope you get a nap today with your 'excitement' from last night. I stand amazed by your talent! 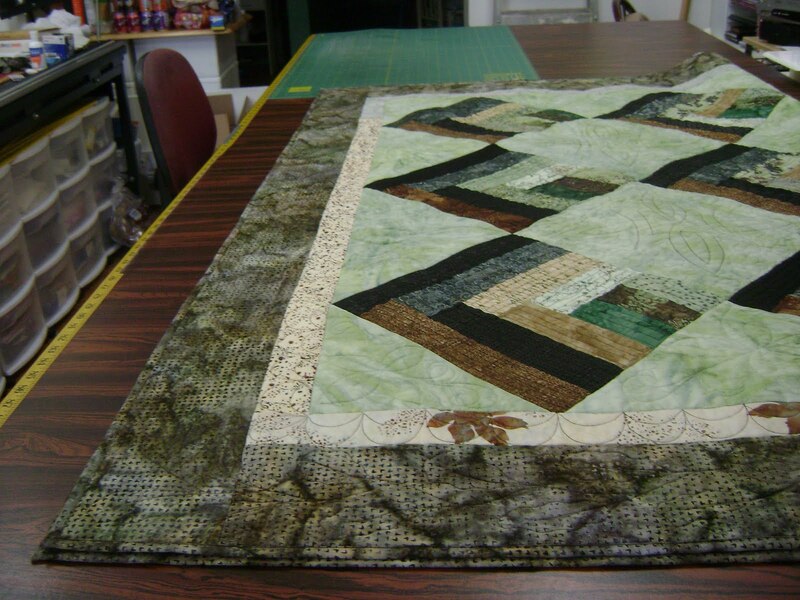 I doubt that I will ever be able to say that I could do that, I can't even machine quilt the smallest piece! Your are truly gifted. 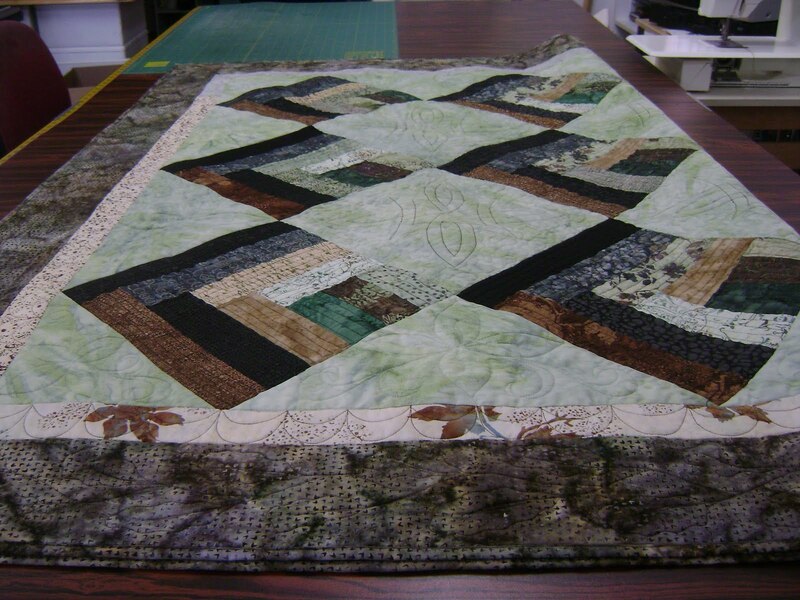 This entry was posted on June 30, 2011 by Anita in Quilts with issues.